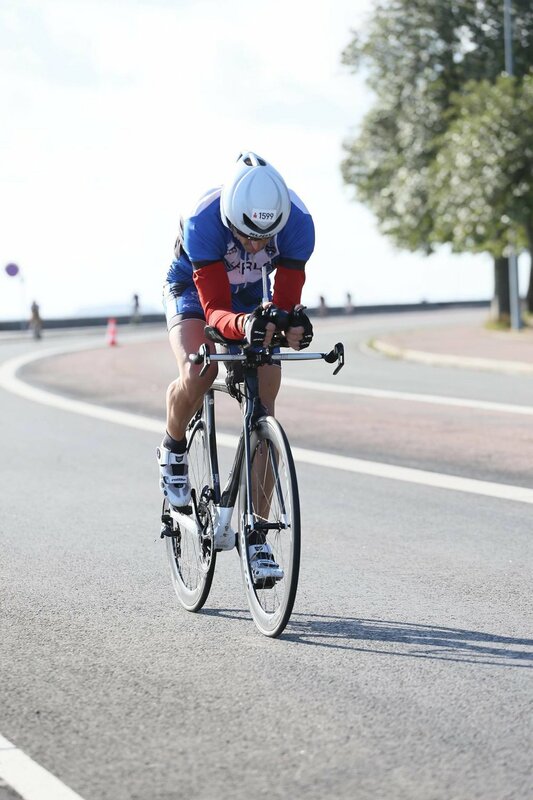 competing on an Ironman in the Danish capital. 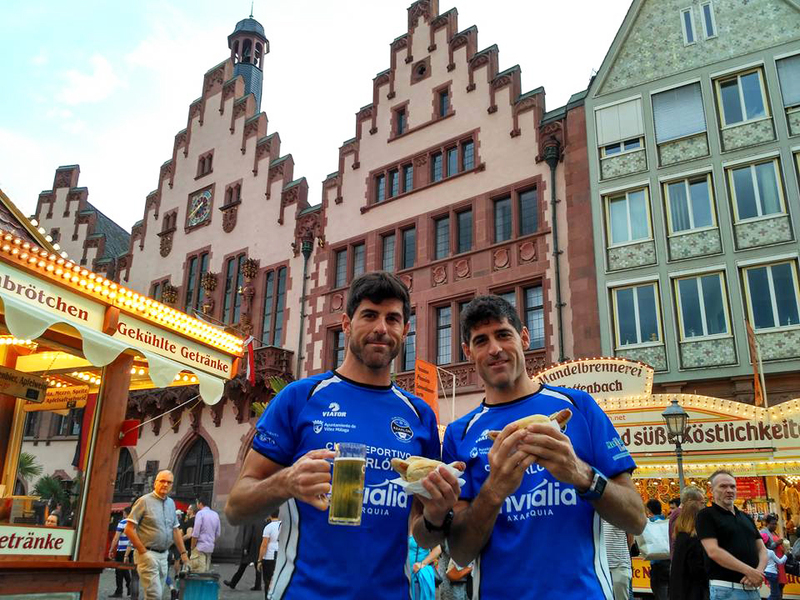 Jorge and Kiko, your both twins, you passed the state examination for PE teachers on the same year, you both also went through a brain tumour of which you have both recovered and together you cycled the 3,500km that separate Malaga from Copenhagen. Do you feel that you have some kind of connection that makes you feel and do the same things? We don’t have a special connection, at least not like the one they expect from twins, in which we sense from a long distance what the other one is feeling. What we do have is great understanding, the same hobbies, we have the same studies and training, same friends, experiences and we have shared so many things throughout our lives that we can say that we know each other very well. We have the same projects and work well together; in fact we love doing it, as we know that we multiply each other instead of just adding. I believe that it was in hospital during Kiko’s recovery that you started thinking about this trip. Did the excitement of sport and a new challenge help you overcome your illness. We always say that we are pathological optimists, we have always faced our illness with all the optimism you can have, but of course that the mentality of a sportsman and having future projects does help. Not only in recovering but also in wanting to recover as fast as possible. Every time we where hospitalised we where not accompanied by the fear of what could happen but by the eager to recovery as soon as possible in order to face new sports projects. What did you carry in you backpacks when you left Torre de Mar? Did you end you throwing out things when you realised you didn’t need them? Or in the contrary, what did you leave without that you then realised you needed? Our bags were small, only 12L, and we really though it over for a long time to decide what to take. We knew that we should not carry much weight so the list of the“must haves”took us quite some time to decide. We took an extra triathlon suit, a pair of shorts, two T shirts, a wind stopper, tools, flip flops, running shoes, swimming trunks, goggles, swimming hat, a small towel. Plus we wore a triathlon suit, helmet, gloves, shoes, and socks. And of course excitement and eagerness to achieve an adventure that represented us so well. We must say that this luggage was enough to get us to the south of Germany. In Baden, Laura (Kiko’s wife) joined us and travelled with us by car until Copenhagen were she bought us winter clothes. Actually we didn’t need anything extra before reaching Baden and the weight we carried was light, so the planning of the luggage was perfect. 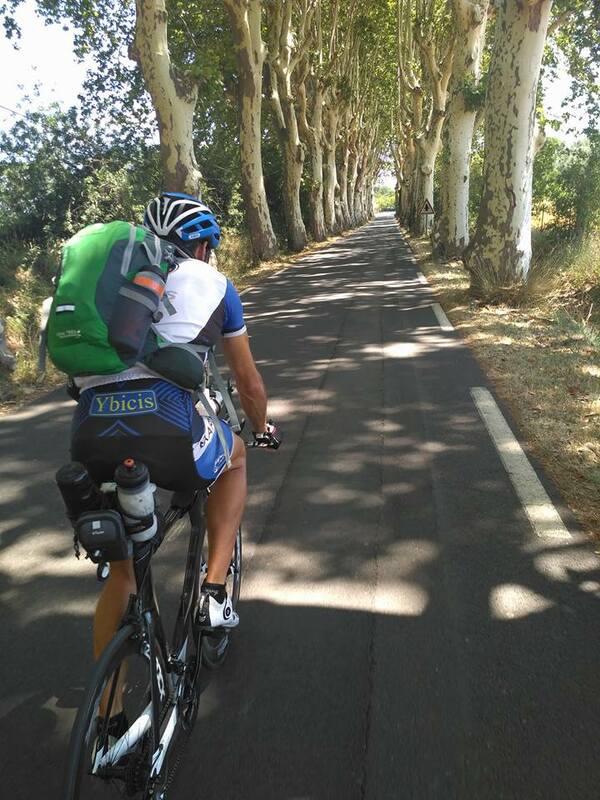 During your trip you did about 150km per day plus some days of training for the Iron man. Did you get the chance do some tourism after tose intense days? We did a bit of tourism every day, most days we would reach our destination at noon, which meant that we ate, rested a bit and then went for a bit of tourism during the afternoons. Most days we would visit the cities during a run, if there was a beach we would go for a swim in the sea and if we where inland and there was a pool we would do a bit of swimming training. But we always had time for a bit of tourism but without the stress of a tourist who wants to see everything. Did you find your self in a complicated situation during your trip? The most complicated were the last 3 days in the north of Germany as we got rain, wind and temperatures of 10 degrees, we suffered a bit but we were mentally prepared. When you go on an adventure like this you expect to find your self in tough situations and whilst you are there it is really tough, at the end when you look back it is those moments you remember with most passion. During the cycling journey you visited various European Countries, what where your feelings and anecdotes with the people you encountered? We really can’t complain, we got help from absolutely everyone we asked. I guess that when you are seen cycling on a bicycle and carrying your luggage they think you are half crazy and we never where denied help when we asked for it. Everyone we encountered was caring. One of the best experiences of a bicycle journey is the people you meet and share moments of the bike trip with. You left on the 20th of july for a 1 month cycling journey to the capital of Denmark. Did you ever have the urge to quit and go back home? No, not even in the worst days. We had organised the stages very well, with the strength we had we where aware that it was hard work but it was totally doable, the objective was to live the adventure and be able to do it at ease as we had the Iron man waiting on our arrival. "THE MOST COMPLICATED WERE THE LAST 3 DAYS IN THE NORTH OF GERMANY AS WE GOT RAIN, WIND AND TEMPERATURES OF 10 DEGREES, WE SUFFERED A BIT BUT WE WERE MENTALLY PREPARED". How does it feel to get back to your daily routine after a journey like this one? Do you recommend this sort of adventure? When you spend a month full of adventure you go back to your daily routine with a smile. Seeing you family and friends, having the commodities of your own home, things that you take fro granted suddenly become of great importance and you appreciate them so much. Any sort of adventure that takes you away from your comfort zone is highly recommended for anyone, they make you a better person. What personal conclusions have you made from this trip? That eagerness and hard work can take you very far but you must put some thought into it. After this great trip and the competition I guess that you bodies are asking you r for some rest, but, do you have a new challenge in mind? We always have something in mind. At the moment we are fully involved with entrepreneurship and are a little more relaxed on the sports front, as in May we expect the opening of a sports medicine centre in Vélez- Málaga, a project in which or brother Alvaro is also involved, as he is a Sports Doctor. But we do have other sports challenges in mind, for summer we are expected to swim across the straight of Gibraltar, and although we have loads of ideas in mind time will tell us which one we will try to achieve. "THAT EAGERNESS AND HARD WORK CAN TAKE YOU VERY FAR BUT YOU MUST PUT SOME THOUGHT INTO IT"
Julian Cox shows us his photo project of his cycling journey from London to Mumbai and an insight to the motivations that took him to take this trip.